Is wedding photography really for you? Over the years, I have met a lot of people, from all walks of life and all professional backgrounds who turned to professional photography as a secondary source of income, or even full time career change. Waves upon waves of folks still get in touch with me to this day asking for advice about gear purchase for specific use in wedding photography. I used to shoot weddings, but that was a long time ago. I guess,. however, that my label as a wedding shooter lasted throughout the years. It never came as a surprise to me, and that is due to the fact that I am fully aware of the fact that the wedding industry is, by far ,the most developed among all professional photography branches. No matter what the times may be, war( let’s hope not though) or peace, people will always find the time and resources to make a wedding happen. And there is no wedding without a photographer to document the event. And it is indeed a very luring perspective that many people fall prey to. To make money for pressing a button on a camera. Now isn’t that tempting? This is why I had to give advice to ex factory workers, farmers, IT specialists and the list could go on. It’s very important to stress out that I have absolutely nothing against any of these people or the likes of them. 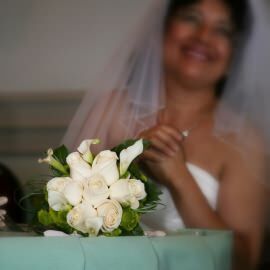 What I do think is being overlooked though, is the full meaning of photographing weddings. Apart from the fairly decent income one cam make by choosing this creative endeavour, there is the part that most new comers choose to overlook. That is the responsibility of the outcome. Ideally, a wedding is a once in a lifetime event. The walk down the isle doesn’t happen twice. When people usually dip their toes in the wedding photography industry, they target clients with lesser financial resources. People who tend to look for bargains. Nobody can blame them. Working with a tight budget isn’t easy. The sad part is that many of these careers shifters who are looking for their money, have nothing of what it takes to create the beautiful images such an event deserves. They’re just in it for the money. They find young, naïve and financially challenged couples and throw sand in their eyes to get them to sign the contract. I even heard of cases where so called photographers presented someone else’s pictures, probably established wedding photographers, to make sure they get the job. In the words of Kevin Spacey, I couldn’t possibly comment. The thing I want to point out is that when someone commits to shooting a person ‘s wedding, apart from potentially satisfying income, as I said, there is a great deal of responsibility. There are unfortunately a great many photographers and videographers out there who hate weddings but are booked all summer, every year. Why? Because they can sell themselves. While this may be a quality to have, there are just as many disappointed newly weds. You see, what I think matters most in wedding photography is actually a very simple thing. You have to like it! If there is nothing that tickles you emotionally about a wedding, you shouldn’t have any business being there. I met a guy in a small town who was shooting weddings. He was the player type. Always out and a lot of the times with different women. We had a few beers and he confessed that he doesn’t even believe in the institution of marriage. Yet the guy barely had time to have a beer with me. I like to believe I am not a judgmental person so I didn’t try to view lifestyle from an ethical point of view. The guy is actually a very cool and fun person to be around. However, and I am sorry to say this, I pity the couples who are his clients. Not because he isn’t a good photographer. He is, I have seen some incredible artistic nudes in his private portfolio. It’s because he shouldn’t be he shouldn’t be working on something he doesn’t believe in. And nor should anyone. Sooner or later, your lack of passion for what you do will show. At best, your work will be average. But average is not something you should offer anyone investing in their memories. So please, do yourself, and your potential clients a favor and ask yourself, is wedding photography really making you tick?